These days, there are all kinds of advice about ways to save money, pay off debt, or merely survive from paycheck to paycheck. Perhaps you’ve made the decision to start saving so you can stop living a hand to mouth existence, start building an emergency fund for times of financial trouble or begin contributing to a college fund for your kids. 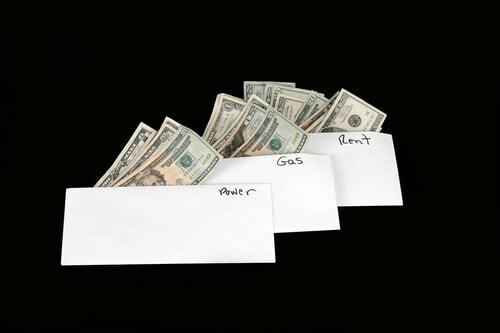 Regardless of why you need to start saving, the envelope system can help. But what exactly is the envelope system? Celebrity financial guru Dave Ramsey made this simple budgeting system an international sensation, and though it has worked for millions, you may be wondering if it is right for you? Read on to learn about the pros and cons of this very popular way to stay on budget and save for your future. Before we go into it, let’s explore what this financial tool actually is. The envelope system is an easy concept that requires you to use cash for all of your purchases and expenses, including things like groceries, entertainment, and your monthly bills. There is a predetermined budget assigned to each category, and when the envelope is empty, you must either go without or take money from another envelope. If you’d rather stay digital, you have the option of using an app called Mvelopes. This digital version is perfect for anyone who does not want to physically carry cash with them. Regardless of how you decide to implement it, the envelope system has benefits and downsides to using it. Here are a few things you might want to think about before implementing the envelope system. Using it forces you to be disciplined: In other words, you need to create a budget for this to work as intended. Otherwise, you might leave yourself short in certain categories, causing you to make late payments and incur unnecessary fees and penalties. For example, you might put an extra $50 in your shopping envelope to purchase a gift for someone. That money needs to come from somewhere, and if it came from your utilities envelope, you could find yourself having to pay your bill late. It’s easy to implement: Even if you haven’t yet put a budget together, you can always test the waters by creating an envelope for one category, like “Groceries,” to see how it feels to use actual money to pay for something you purchase on a regular basis. It’s a free system: Okay, so you might need to spend a little bit of money if you don’t already have physical envelopes lying around. Compared with other budgeting methods that require classes or purchasing books, the envelope system is essentially free to start right away. It’s very simple and easy to use: Experts say that if something is too complicated to do, you probably won’t stick to it. The envelope system is incredibly straightforward and all you need to know is this: You put cash into an envelope and curb spending by refraining from using credit cards or even a debit card. Doesn’t get much simpler than that! 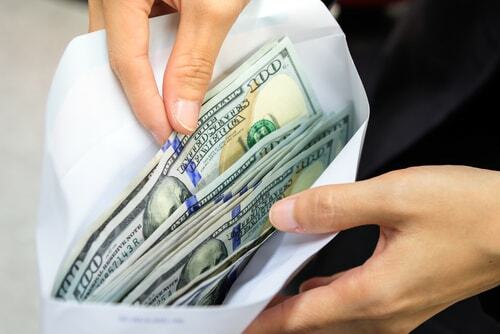 It’s possible for cash to get lost or stolen: If you’re not careful, it’s easy to lose or misplace an envelope, and can be a magnet for thieves looking to steal your cash. Keep this in mind. You’ll miss out on credit card rewards: Some people like using their credit cards to accumulate rewards. By using cash to purchase things like food, clothing, and entertainment, you forfeit racking up those rewards. 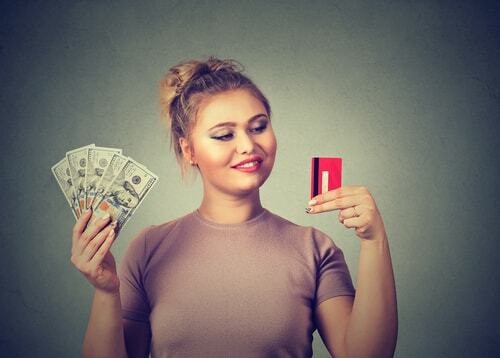 For some, paycheck amounts might vary: In other words, if your paycheck amount is different from week to week, you’ll have to recalculate how much is in the budget for your various envelopes, changing how much you take out of the ATM every time. Mismatched categories: So, does eating out at a restaurant come out of your food envelope, or your entertainment envelope? It can get confusing what category to put some expenses in, which means you could short-change yourself in one area and overspend in another. Now that you understand the envelope system better, you have to decide if it is something that could work for you. Will it pan out in the long run, or will it be more of an inconvenience than a help? One low-risk way to find out is to just use one envelope, like in the groceries envelope example. Try it out in one area to see how you feel. However, unless you’ve already spent a lot of time saving up substantial cash in an emergency fund envelope, you might not be able to use it in times of urgency, like when you need a car repair or have an unexpected expense. In times like these, a quick search for payday loans near me could provide the extra cash you need to make it from one envelope to the next when you have few or no other options.